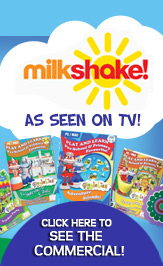 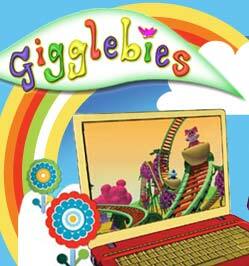 'Gigglebies Adventure Islands' is the third title in a series of Educational CDROM's for children aged 3+. 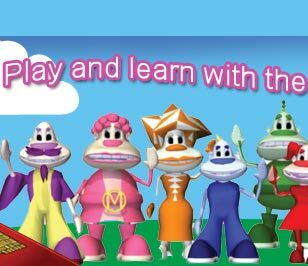 In 'Adventure Islands' you join Tipi and Scoot on an exciting holiday, exploring tropical islands with a vast array of underwater sea life and bursting with fun activities!! 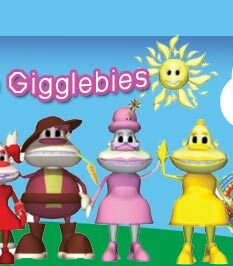 Home | Shop | Meet the Gigglebies | Fun Stuff | About Us | Parents | Contact Us | Tech Support | Nursary/School/Business | Copyright © 2010 Gigglebies™ & Jelly Bridge Productions Ltd.